1. The paper describes a business plan related to real estate. In our country the term real state gives a vivid picture of multistoried apartment houses. The kind of houses, which a are usually built for a selected group of people. The basic target is middle class or higher middle class who has considerable buying power. But we have planned a real estate business where we have targeted the lower middle class group of people who have a dream desire of having a house in and around Dhaka but do not have ability to buy it. We made a conviction to offer them the dream they never thought to be real. Our real estate company, which we have named as “HOPE REAL ESTATE”, has planned to built apartment houses for the said class of people. Out aim is to build small sized flats and sell them with easy terms of reference at an affordable price most of which will be paid in installments. 2. The primary target buyers are the quality managers, supervisors, floor in charge, assistant project managers of garments, 3rd & 4th class employees of government’s offices, CNG, Taxi Cab and Bus drivers etc. These people have a monthly income ranging from Tk- 6000/- to TK- 10000/. Most of them stay in rented house and paying about half of their pay for that. We will motivate and infuse them the idea of getting a flat by the money the are paying for their tenanted house. 3. The site selected is in Sutibhola Mouja of Baddah, a place about 1 Km east of US embassy. The project is named as “California Nibas” for obvious reason. “California Nibas” will be built on 21.5 Kathas of land. The apartment building will be of five storied. There will be 240 flats in 6 units. Each unit will be of 200 sqft. having 3 rooms each. There will be common kitchen for group of flats. But each flat will have integral toilet. 4. The estimated cost of the project is calculated as TK- 45,057,542/ out of which TK- 445000/- will be pre-operating expenses and TK- 8,938,542/ will be working capital. The financing ratio is 40%, 30%, 30. The five directors will bear 40%, Bank loan 30% and 30% down payment paid by the buyers. The price of a flat is set at Tk- 200000/. Booking money is Tk- 5000/. 60% will be financed by the Bank and rest will be paid in 60 instilments. 1. Introduction: Among the basic needs of human being, shelter stands immediately after food and clothing. Securing a home is the security and is the fundamental need through all ages. With the increase of population in major cities, the chances of getting shelters are shrinking fast. In this respect the scenario is very disheartening in Dhaka. According to a rough estimate the world population will hit 1000 core by the year 2050. The maximum growth will be in the least developed countries like ours. Increase of population is directly linked to the increase of houses. Dhaka city is a mega metropolitan city whose population is about 10 million. The growing population demands more houses. But ironically those who need house most have no means to buy those. The fall in demand coupled wit crazy competition pave the way to create glut of apartments in the market thought real estate firms. We have planned to catch this opportunity and modify it to our favor. So far the 116 members of REHAB have made numerous flats mainly for rich and middle class people having a considerable ability to pay an amount ranging from 10 lacks to 45 lacks or so. But anybody is yet to venture for the lower income group who will never be able to master an amount near to that. But we have planned to launch a project targeting this group of people in the name of “California Nibas”. The project will comprise of different sized and shaped small cottages with 3 rooms. Initially are to be constructed as two storied with the increase of potential it will be uplifted to 5 storied in 3 years time? 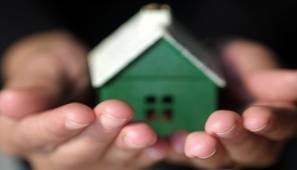 The aimed class of people will surely like to avail a house little that in a cheaper price to be paid in installments. 1.1 Venture: The real estate business began to flourish in mid eighties. It gained its identity as a class business by the beginning of nineties. The people began to understand that it was the only option for majority people to have a permanent address in Dhaka because land was far reaching. By mid nineties it prove to be a safest investment fore both developers and buyers. At this stage of year 2004 it is no exaggeration that with a smart plan and dynamic execution some one can invest in this sector and be an entrepreneur afresh. “California Nibas” is no difference to that. After the inception of real state business in Bangladesh, by now about 116 construction firms are investing in this sector. Most of them have constructed and still constructing houses or flats for rich or middle class people. But knowingly there are very few firms/developers investing for the housing of lower income group. And thus we planned to explore in this field and build houses for lower income group. The proposed plan is having a huge market potential. The lower income group never dream to have a house in Dhaka. We will infuse this dream and turn it to a reality by unveiling a affordable means of living at a very simple payment system and comfortable terms of reference. 2.1 Business Description: We plan to start a real state business. The aim is to build flats for lower income group at a reasonably low cost. The target clients will be the group of people in & around Dhaka city who has moderate income to hire a small cottage, run family wit difficulties, bear schoolings of kids and other expenditures in a very limited scale but hardly can master required amount of money to buy a house which remains a far reaching dream for them. 2.2 Basic Objective: The proposal envisages for setting up of a “Satellite Housing” Project for lower income group at the outskirt of the city. The area chosen is little away from the city heart but well within the communication range with little difficulty. The business objective will be to offer and maintain an innovative and diversified taste of community leaving to a segment of lower earning community of Dhaka. We call it “California Nibas”. To achieve this we will be one customer oriented construction firm committed to excellence and low cost quality housing in its chosen field. It will as well significantly devote its own resources, seek banks’ assistance and make a desperate effort to arrest financial support of potential corollary NGOs to turn the project to a profitable service oriented business wit passage of time. By 2008 our firm will outperform by 70% profit. 3.1 Entry Strategy: The initial project will be set up on the company owned land through a technical collaboration with BDC-NCE-F.F, a sister concern of Islam GROUP. The basic approach shall remain to exploit the potential of local market by making inlet to more innovative and people oriented housing project and sell them in a affordable price through monthly installments by a mutual arrangement with bank. We seek to avail 20-30% cost as down payment. The task will not be a easy one. But can be made acceptable to the sponsors by referring success of Micro Credit. All developers in the capital are capitulated around large apartment project basically making house/flats for rich and middle class group wit a view to get the return shortly and surely. But knowingly anybody is yet to begin for lower income group. So we believe that there is a huge business potential to be explored in this sector. The above survey is done quite carefully and conservatively. It is found that we have total 488 potential buyers against 240 flats that we have planned to build in first phase. We are likely to have more 248 buyers waiting for the second phase of the project. This calculated fact has driven us to venture for this project to under take. 3.3 Distribution Strategy: The company will have a strong distribution network all over the Dhaka city comprising a group of expert executive in the related field. In order to support its operation, the project will setup a full-fledged and independent sales/marketing department. The field executives will relentlessly persuade the over all sales and distribution will be done in personal contact basis and the payment by the buyer. 3.4 Pricing Strategy: The output of the proposed project will be small houses for lower income people, which will be made affordable to them. At present about 86 construction firms and developers dominate the local market. Most of them are members of REHAB. At present REHAB has 116 members. As such the proposed project is going to face a tough competition in this field. The only assumed hope is that still a very few have started to create such habitation for the targeted group. So to be competitive and to catch good market share we will resort to a acceptable combination of low price and good quality. Though the present material price in the market is high but we will try to maintain a price which is either equal to the existing price or lower than that to allow the project to have a safe penetration in the market. To have a safe landing we have planned to go for a very thin profit margin of 10% for the first year of production. 3.5 Marketing Objective: The Company intends to construct the project in 14 months time and envisage another 8 months for complete sell and occupation. The economic life of the project is considered to be 25 years wit out any major repair. The company intends to reach a profit margin by mid of 2006. The return may be slow but will be steady which will ensure long-term economic viability of the company. The buyers will be linked to a bank, which will provide them with long-term loans. The company will ensure the payment of installments through a highly effective management. If the buyers can be motivated and persuade to maintain he payments of installments and return to the bank is favorable then the project will enable the company to attract adequate capitals to support its growth from NGOs and even from government to some extent. The company will strive for a level of operating, technical and market excellence, which will ensure a strong competitive position in the market it intends to explore. Last but not the least, the company will maintain a high standard of integrity in the conduct of all the phases. 3.6 The Target market: We plan to focus all initial marketing efforts on establishing a beachhead in the real stated sector. One of the directors will be directly responsible for contacting the appropriate buyers. Initially our price structure will be based on a maximum makeup of 20% in order to provide a strong price incentive. We will be depending on the combination of fresh styling, quality and price to break into this market. The proposed plan is having a huge market potential. The lower income group never dreams to have a house in Dhaka. We will infuse this dream by unveiling a very simple payment system and comfortable terms of reference. 3.7 Customers: The socio-economic graph of our country has taken a sudden upward turn in late eighties. The booming garments industry created a huge job market for neglected people of the society mainly women. They earned a new title named garments worker. More so the job opportunities have increased to many folds through the decade. By the beginning of the millennium this group coupled with others like CNG and CAB drivers etc gained a purchasing power considerably. A new social element called “Lower Middle Class” was created. This class earns good for little food and cloths. May be for little modern amenities but definitely not for buying a house, which even dares to come in their dreams. The “California Nibas” is basically aimed to launch to turn their dream in to the reality. That a responsible, competitive, private enterprise is the most efficient system for creating a complete habitable community for Lower Middle class group. They fan out in the morning to earn their lively hood, contributing a major portion in the daily economic growth and then coming back to their hired thatched house just to pass the night awaiting next sun to rise, to begin wit another duel to the destiny. They have hardly any entry to the communal life system, yet to test thyself as a city dweller being social element. “California Nibas” will open a window for them to look and to test a communal life. As such they will contribute more in national economic growth. A profile of expected customers is given bellow. 4.1 Site: The location of the proposed project is at “Shutibhola” Mouja under Gulshan Union Parishad. it is about 1Km east of Bishaw Road from Shahajadpur Bus Stand point. Owing to the proximity of Bishaw Road, high land for immediate construction, availability of social facilities with reach, low living cost and good communication system the project is likely to be successful short. The approach road has to be improved little. There is a plan of 60 feet road to be constructs connecting Shahajadpur Bus Stand Point with Purbachal. The effected persons have already received their compensation. The road is expected to be completed by the time we finish of project. It so happen then our project will boom beyond the expectation. 4.2 Cost: The value of the project land has been assessed at Tk- 300,000.00 per Katha and the total land required estimated is 10 Katha. First year production capacity is calculated at 30% capacity of total utilization. With the good response of customers rest 40% will be constructed in the second year. By third year the project will be completed to be handed over. The total cost has been estimated including the primary operating cost at Tk- 42,653,542/. Out of this TK-60,000,00 will be paid for the cost of land and the rest will be incurred during the establishment of the project including primary operating cost. The purpose is based on moral conviction to help lower income group of people to buy a house in Dhaka. As such the price will be real enterprising. 4.3 Production Plan: The word production is not very much synonym to our type of business. Our production process is basically slow, time consuming and one-way construction work. Once constructed, cannot be reverted to origin in most of the cases. Even if is done will incur huge expenditure. As such our production will go under careful scrutiny. The production process is planned to be run in 2 shift of 6 hours each on 300 working days in a year. The capacity build up has been assumed to start at the rate of 40%, 70% and 100% in the 1st, 2nd and 3rd year of operation. The whole process is a combination of manual and automated. Initially the site will be constructed immediately. The construction machineries and materials will be then be brought in on requirement basis. In this a time plan is made which will be followed strictly. a. Managers will be motivated by a profit inceptive plan, which will be tied to manager’s individuals success. Our plan will be in writing, simply stated and called for frequent state of accountability. b. Capital allocation ad signing checks will not be delegated. We intend to maintain an ongoing study of my competitors. Their success and failure will help me to form a guideline on what to do and not to do. 4.5 Technical, Technological and Construction Support: For all kind of technical and technological related support we are going to depend on a consultancy firm. One of director, Mr. Azam Hossain, is an expert in this field. The consultancy firm will basically give the design, caryout Soil test and advise types of materials to be used. To support the construction we will not go for big purchase of plant and machineries. To cut the expenditure will mainly hire plants and tools as far as possible. The Mason will provide small tools. It is understandable that all these plants and tools will incur a good amount of money and cost huge time and unwanted hassie. As such we are going to give a sub contract for construction. In that case the contracted firm will bring all above as part of their contract. 4.6 Handling Major Problems: Problems are inevitable in any business. Entrepreneurs should be fully equipped to counter those. For our country these problems are little different than that of others. Our policy in handling problems will be to identify and acknowledge problem promptly and honestly. Following problems are anticipated to be faced. a. The risk of Running Out of Cash: I plan to maintain a very frequent cash flow projection. Forecast for income, expenses and unanticipated contingencies will be stated conservatively. Any periods of cash deficits will be remedied promptly by cutting costs to maintain a positive cash flow and profitability. (1) We will sit immediately and try to find out the cause of drop sale. (2) We will be prepared to take prompt action by cutting cost. (3) We will increase personal contact basis marketing. (4) We will improve every aspect of construction value. (5) If existing promotion policy does not hold good we will seek for new ways to expand sales. (6) Finally, we will keep striving to improve in all aspect and stick to the work. c. Sudden Increase of the Price of Raw Materials: We have planned to have a marketing team under director marketing who will constantly monitor the market price. It is not likely that the price will rise suddenly. If any kind of hits of price rise is sensed we will make a stock of sudden items. Even we may reduce our profit margin but stick to the offered price. d. Dishonesty, Theft, Shrinkage: Director Admin will constantly monitor the aspect. Though dishonesty, theft etc are very common in such business but a foolproof anti plan can reduce such practice and their by saving considerable amount of money. A team of security guard will be detailed for security and anti pilferage purpose. e. Social Anarchy: This is a problem which does have the solution. The social outlaws and miscreants commonly known as “Shantrashy” or “Chadabaj” are the constant menace in this sector. They are often linked wit political leaders and in some cases with police. So we have to make a crucial balance between police support & politicians blessings and then end with a smiling face of those problems child’s of the society. f. Business Recessions: This can also happen at any stage of the production. All the Directors will be bro8ght under a truce that they cannot withdraw their shares before the third year of production. The bank will be asked to release their fund in installment at any time after first year of the production. In case of Recession we will be prepared to promptly cut cost to maintain liquidity. 4.7 Plan to take Advantage of Competitors Weak Points: Our established competitors are either too big (Expensive) or too small (sub standard) to successfully handle the lower income group whom we planned to target. Our advantage is the group of people we have targeted, promotion & marketing policy, personal contact and last but not the least the assurance of low price and good quality. 5.1 Types of Business: The proposed project is being promoted as private limited company. It is a unique plan of making houses for lower income group of people. This is a Real State business but wit the new concept. 5.3 Organogram: We already have planned to form a corporation named as “HOPE REAL ESTATE” for our business. It is our keen intention to turn “HOPE REAL ESTATE” into a large firm with honesty and reputation. Our investors will be forming the Board of Directors. Beside this we will be hiring some executives for various terms. The basic organogram is given annexure “A”. 5.7 Office Equipment and Furniture’s/fixtures. 5.9 Implementation Schedule or the Time Plan: A graphical Implementation plan or Time plan which will be follow up as desired. a. Implementation Risk: The implementation would be covered on turnkey basis and the contractor will cover the risk. b. Commercial Risk: The commercial risk would be covered by the price of raw material, low contractual labor cost; advance freight arrangements faced by the importers of raw materials, insurance policy ad supply system based on long-term agreement. c. Political Risk: Trade unionism has set a bad omen by practicing unethical policy with regards to economics in Bangladesh. Occasional strikes and law off has put enormous pressure in the economic environment. This has to be addressed with contractual service. d. Regulating Risk: The current regulatory policy is suitable for the business environment. However, the financing liquidity position of Bangladesh bank has shifted from time to time. At the time of financing availability of fund with the banks determined the project can be financed with US$ 1.75 million dollar worth local debt. e. Fix Risk: The devaluation effect cost of production and a need to proportionately increase the selling price may be a point of consideration. The future prospect of the project will be insured through quick sale and with insurance coverage. b. Weakness: -Public sector inefficiency. – Distribution network in not constant. c. Opportunities: -Credit sale and ready availability. -Raw Materials are readily available. Nonstop work due to available labor. d. Threats: -private sector competition. 5.12 Country Profile: Bangladesh is a country with 145,570 sq. km. area and population of 135.7 million. It has border with India and Myanmar. The south has an access to Indian Ocean through the Bay of Bengal. The per capita income stands at US$ 380. The demographic structure suggests 79% of young population is to be under 25 years age group. The majority of the population is Muslim, about 90%, although the state is a Peoples Republic. The GDP growth is at 5% and the estimate for the next decade GDP growth is 6% per annum. The GDP purchasing power parity stands at US$ 1350. The GDP percentage of agriculture is 22%, Industry 28% and manufacturing 18%. The targeted group of buyers fall well in industrial group. The proposed land and favorable price would allow natural growth to the business the industrial group. 5.13 Macroeconomic Summary: IN 1996 the GDP growth of the country was highest at 5.7%. In this year the GDP growth is demanded to be 7%. The domestic financing was 47% during 1997-98. The inflation at consumer price margin remained at 5.4 between 1990-98. The saving rate of GDP rose from 9.9% in 1991 to 15.4% in 1998. The Foreign direct investment registered with Board on Investment rose from US$ 0.061 million in 1976-77 to US$ 1773.682 million in 1995-96. A substantial inflow of investment was registered further to the tune of US$ 435 million dollar during 1997-98. By year 2000 it was US$ 501 million dollars. It increased in 2001 & 2002 but started increasing at decreasing rate. By 2004 it reached to US$ 562 million dollars. The money was devaluated number of times. The Taka dollar exchange rate now stands at US$ 1=60.0550 Taka (as on 01-07-04). This fluctuation might effect the profit of the project with the passage of time. 5.14 Political History: The country enjoys parliamentary form of democracy where, the head of the government is the Prime Minister. It has 300 electoral constituencies. The Parliament has a life span of 5 years. The President is the ceremonial head of the state. The country was never fortunate to enjoy a healthy political environment. This always has severely effected the investment climate of our country. 5.15 Average Rate for Construction Worker-Dhaka. 7. Brick & Khua Breaking/100 cft. SL. Description of item of works Unit Rate, Tk. 16.Verandah grill fitting with groves cuttingpc. 17.Window Grill fitting with groves cuttingpc. 18.Door Chowkat fitting with groves cuttingpc. 20.Shuttering fitting fixing opening with supply of wood bamboo nail wair etc.sft. 22.Sand & Brick chips neting%cft. 6.1 Financing Strategy: Details of expenses are given in the paragraphs above and annexure for which we will require start up capital or financing. Financing will be needed for buying Raw materials, supplies, computer, equipment & fixtures, tools, travel expenses, salary/wages etc. These expenses are included in our monthly cash flow projection to indicate the ongoing requirement of cash. Our sources of finance will basically be the money of Directors, Bank and the Down payments of the buyers. In case we fail to convince the Bank we will approach leasing company, credit from suppliers, moneylenders and even to friends. We are fully prepared to give a presentation to potential lenders where we will be specific in our need for financing, the payback program and our source of repayment. We will furnish potential lenders a cash flow projection showing sources of repayments and we will be conservative in our forecasts. 6.7 Loan Payment Schedule: @13%Interest. Sige of a flat-250 sqft. No of Flat- 245 nos. Used Land Area- 85% of total land.